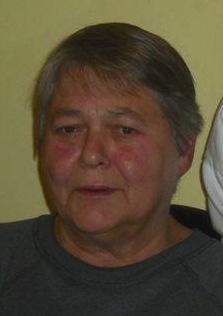 Margaret A. Horning, 80, of 105 S. Broad St., Emporium, PA died at Penn Highlands Elk, St. Marys, PA on Tuesday morning. (November 13, 2018) She was born September 16, 1938 in Reynoldsville, PA a daughter of the late Edward and Blanche Baun Huntington. On December 22, 1962 she married the late George E. Horning who died Jan. 15, 1978. Margaret was especially fond of animals and enjoyed volunteering at the local SPCA. She is survived by two daughters, Vickie Doud and her late husband James, Emporium and Lisa (Clifton) Collins, Emporium; one grandson, David Matthew Horning; three brothers, Bill (Jane) Huntington, Big Run, PA; Henry (Carol) Schwab, Reynoldsville; Harry Schwab, Reynoldsville; two sisters, Joyce (Larry) Miller, Brookville and Mary Lou McAulay, Emporium. In addition to her parents and husband she was preceded in death by her son-in-law James Doud; a sister, Elsie M. Heagy and three brothers, Ron and George Huntington and Charles in infancy.